The promise of outcomes-based contracts for biopharmaceuticals has yet to be realized in the US. Although precise numbers are hard to come by, payers and manufacturers agree the field is still nascent. However, they don’t seem to be giving up on the idea. To date, there's been more talk than action in creating outcomes-based contracts between payers and pharma manufacturers. It's hard to know the actual number of agreements in effect because many payers are reluctant to divulge that information. One reason for slow uptake is the difficulty in executing these agreements, compared with more familiar cost reduction efforts such as rebates and discounts.There are also perceived regulatory obstacles. These early experiments, while few in number, are at the very least spurring development of the data infrastructure needed to assess their impact and value. Outcomes-based risk sharing contracts between private payers and pharmaceutical manufacturers are still a relatively minor factor in the US reimbursement landscape despite a handful of widely publicized examples and heightened interest in pursuing such deals. That’s the view expressed by some of the more active US-based payers involved in developing outcomes-based risk sharing arrangements for prescription drugs, which generally link coverage and payments to real-world performance and incorporate the concept that manufacturers and payers share the financial risk associated with outcomes. 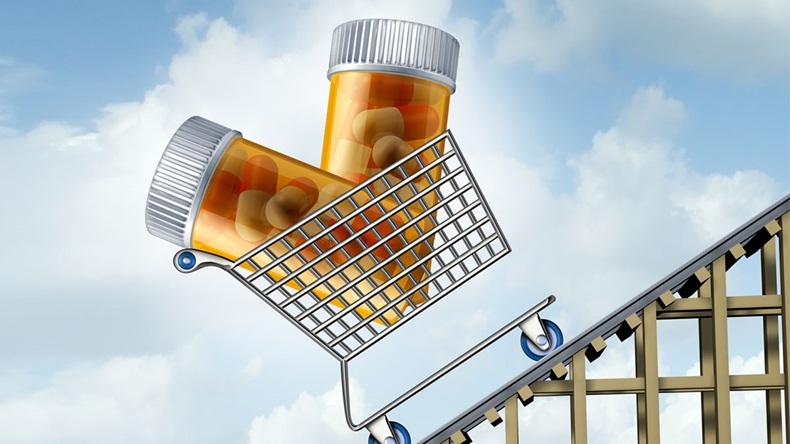 “I would say the interest has increased significantly but the execution has increased only modestly,” says Harvard Pilgrim Health Care Inc. specialty and pharmacy contracts manager James Kenney. "Outcomes-based contracts are early in their development but they are critical steps that must be taken to inform the structure and design of future agreements,” says Humana Inc. pharmacy solution president William Fleming, PharmD. Humana is considered the most active large private payer engaged in outcomes-based risk sharing contracts. The national insurer has about 15 contracts currently in place, covering 20 drugs, Fleming says. But the company has chosen not to announce the contracts, so its activities have not garnered widespread public attention. It’s very difficult to accurately pinpoint the number of outcomes-based risk sharing contracts currently in effect in the US because many large payers, like Humana, don’t publicly announce them. UnitedHealthCare officials told a meeting of the International Society for Pharmacoeconomics and Outcomes Research in May that it is aiming to expand its value-based contracting by executing three to five new ones in 2016. The insurer had only one in effect at that point. However, the company has not announced any further contracts to date. Similarly, Anthem Inc. does not publicly disclose such contracts, according to corporate communications director Joyzelle Davis. Nor do many manufacturers, although again there are exceptions. Novartis AG has publicly announced its interest in outcomes-based contracts for its heart failure drug, Entresto (valsartan/sacubitril). And Amgen Inc. has been open about pursuing outcomes-based contracts for its PCSK9 inhibitor, Repatha (evolocumab). But even in the private market, the reasons such contracts have not gained more traction to date generally revolve around the fact that they’re hard to do. Contracts involving traditional rebate or discount arrangements are easier and more familiar to manufacturers and payers, so continue to be much more common. Challenges in executing outcomes-based risk sharing contracts include agreeing to appropriate and feasible endpoints that could demonstrate a drug performs to expectations. In addition, payers may not have the data infrastructures in place to support contracts, making collection and processing the necessary information difficult and expensive. One of the more successful drugs in terms of outcomes-based contracts appears to be Novartis’ Entresto, which is struggling to compete with much less expensive options after launching in mid-2015. (Also see "Novartis To Payers: Entresto Works Or You Get A Discount" - Scrip, 12 Feb, 2016.) The three contracts for Entresto that have been publicly announced tie outcomes payments to the drug’s ability to help patients avoid hospitalization, a relatively clear-cut outcome demonstrated in Entresto’s clinical trials – and an expense payer’s would be eager to avoid. “If we know that patients who are adherent on Entresto are going to have … 17% less hospitalization, which is what the clinical trial data show, over a one- or two-year period, you can begin to project what that savings might mean for the plan, and maybe it’s an opportunity to change the formulary or encourage use of the product,” Harvard Pilgrim’s Kenney points out. In public discussions, manufacturers point to regulatory challenges as major obstacles preventing more wide-scale adoption of outcomes-based contracts. Medicaid’s “best price” requirement is often cited as a significant barrier. Under Medicaid rules, pharmaceutical manufacturers must offer Medicaid agencies the cheapest price they give any payer (with a few exceptions, such as the Department of Veterans Affairs). That means if a drugmaker enters into an outcomes-based contract with a private health plan and then has to provide the agreed-upon discount, the resulting price could become the new benchmark for calculating the Medicaid best price. The rebates offered to a private insurer under one value-based contract could establish a new and lower price that must be offered to all Medicaid programs. Nevertheless, the Medicaid best price challenge is not insurmountable, payers believe. “The best price issue is valid. However, it’s completely manageable,” Kenney maintains. “The way around it, very simply, is you put a clause in the contract to protect them … that says we have all these outcomes components in there and at no point in any given quarter will an outcomes payment combined with the base rebate exceed” the Medicaid rebate, he says. Cigna Corp. senior VP, integrated clinical and specialty drug solutions Christopher Bradbury agrees about the value of building data systems. “This is one of the wonderful parts of these outcomes-based incentive agreements,” he said in an interview. “It pushes us and others forward in terms of investing in additional analytics, investing in additional insights that help us understand, and the industry understand, what type of value clinically and financially is driven short term by different products.” (Also see "Cigna’s Bradbury Talks PCSK9 Contracts And Value Versus Volume" - Scrip, 11 May, 2016.) It is hard to know whether the contracts are saving money or improving outcomes because little to no data have been publicly released on how the arrangements are working. However, Cigna is committed to being more transparent about results, Bradbury said.